Water makes up about 60% of our body. Our organs need it, our body tissue needs it, our cells need it, etc. They all need water to properly function, so it really is no shocker that keeping hydrated is extremely important and one of the best things you can do for your body. You spend your days making sure you get your workout in, make sure you are reaching for healthy foods, but how does your water intake measure up? The truth is if you are already thirsty you are already dehydrated. Great question. There isn’t a universal amount that is listed for us to consume to make sure we are getting our proper water intake. Checking out your urine is certainly a good way to tell–you are aiming for it to look more white than yellow. A loose guide to follow for water intake can be roughly 11 cups for women and 15 cups for men but all in all, it depends on how much you weigh and your activity level. A great rule to go by when working out is to drink 12 ounces for every half hour of workout time. Okay, I know how much water, but are there other ways to keep hydrated than just drinking water. Yes, there are a couple different ways you can keep hydrated than by just drinking water. Our favorite method is adding a SUPER POWDER to your water. It takes your water from boring to delicious while adding vitamins and minerals to your body as well. Another great way to keep hydrated is by eating hydrating foods. Our water intake actually comes from our foods 20% of the time. Think of whole foods that come from the earth like celery, romaine, watermelon, cucumbers, cauliflower, spinach, etc. Hydrate first thing in the morning. 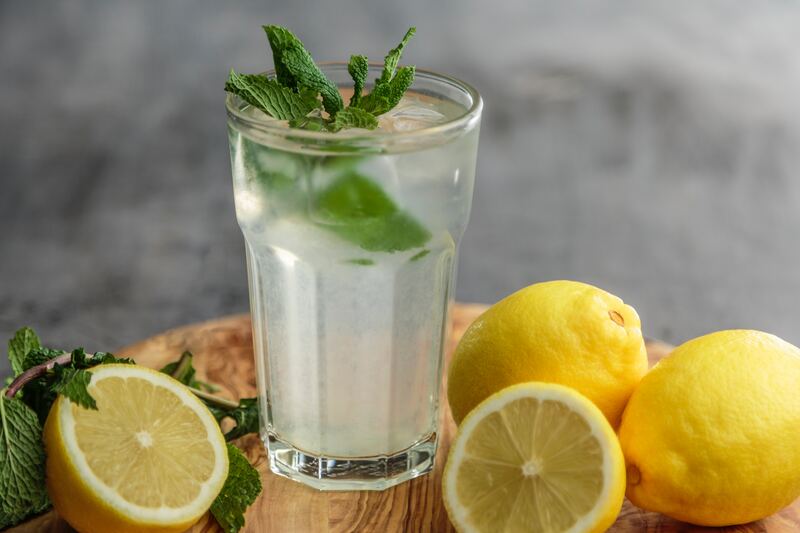 Sure, this is still just water (you can always add some lemon) but just gulping that down right away doesn’t feel as bad as when the evening rolls around and you still haven’t reached your water goal so you are chugging water by the glass. Hydrating before a workout is super important too. A lot of people don’t think about hydrating before but this is really important to do since your body will be releasing a lot of water during your workout.